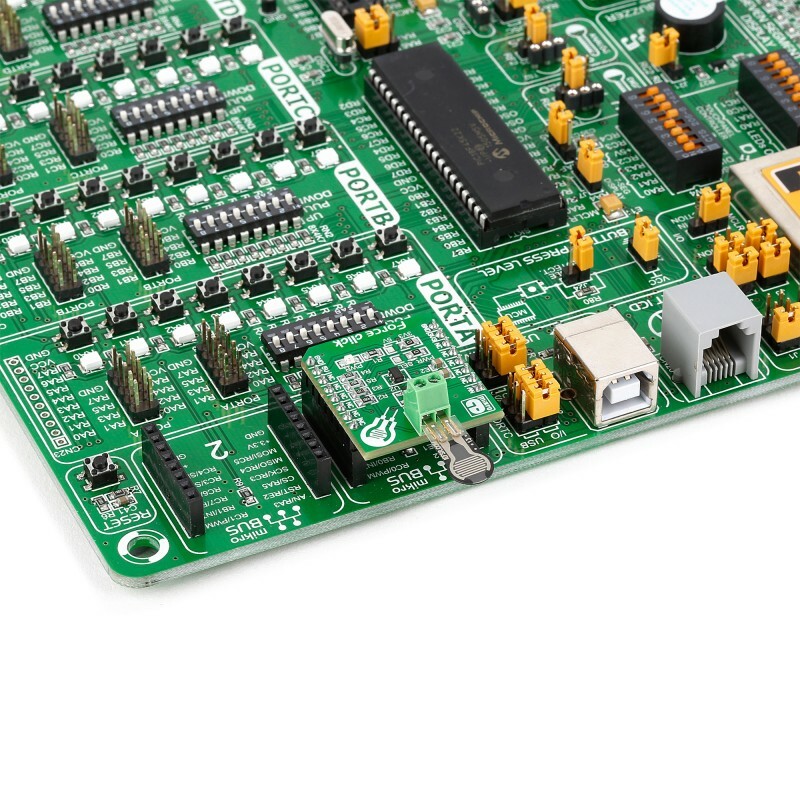 Force click is a mikroBUS™ add-on board with circuitry for implementing Interlink Electronics’ Force Sensing Resistors into your projects (with a single zone force sensing resistor included with the click). Force click is a mikroBUS™ add-on board with circuitry for implementing Interlink Electronics’ Force Sensing Resistors into your projects (with a single zone force sensing resistor included with the click). The Force Sensing Resistor is a thin sensor made of two membranes that are separated by a spacer around the edges. When pressed, the gap between two membranes gets closed. This shorts the two membranes together, with a resistance that is proportional to applied force. The outputted analog voltage is thus a measure of force applied. The force sensitivity range is from about 0.2N to 20N (although it depends on the implementation). 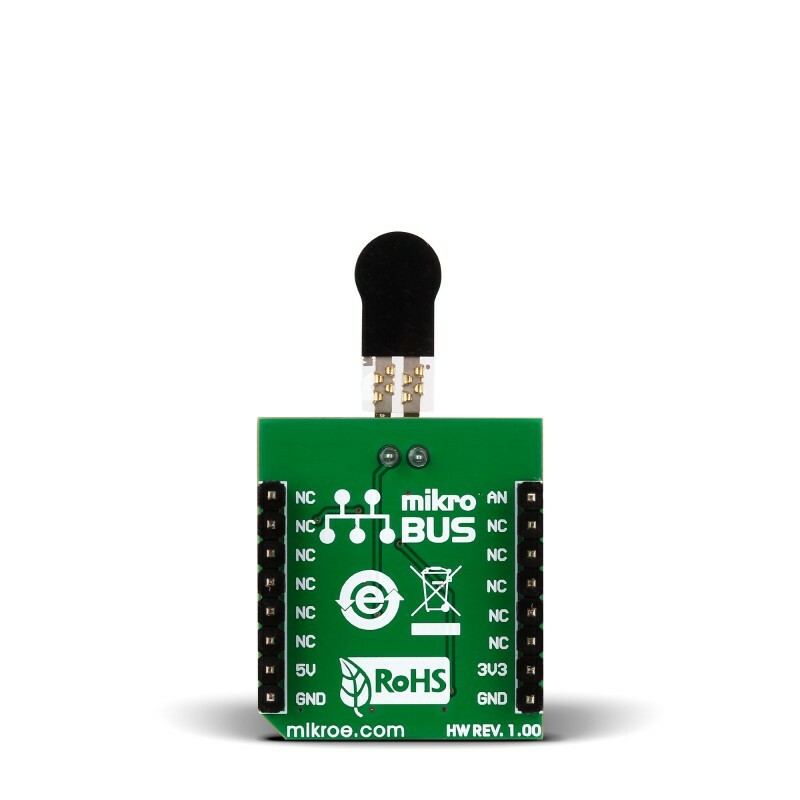 Force click communicates with the target MCU through the mikroBUS™ AN pin. It is designed to use either a 3.3V or 5V power supply. 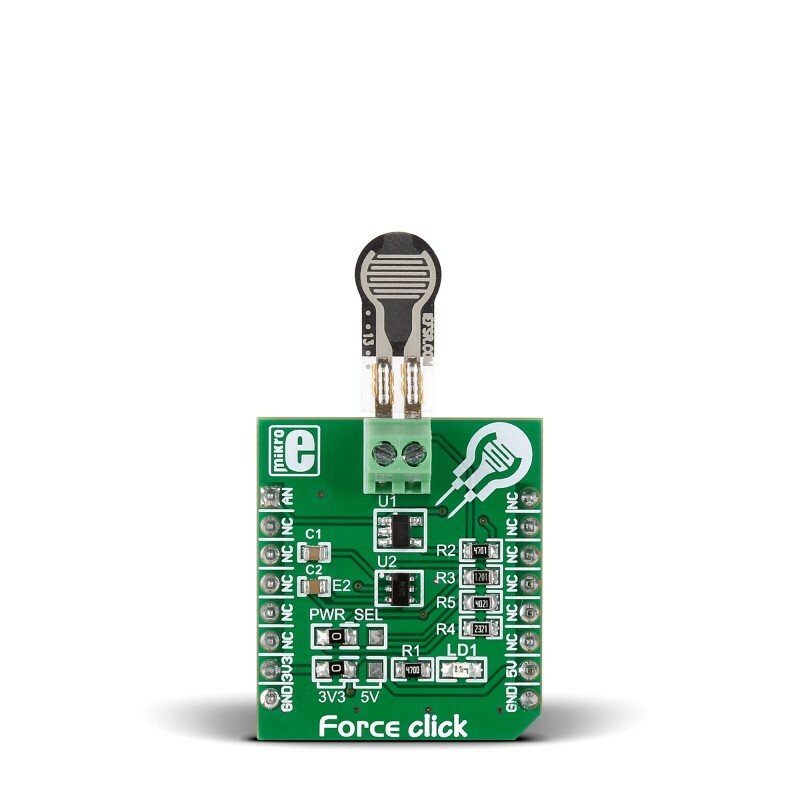 Force click is shipped with a Force Sensitive Resistor you can use right away. The sensor, however, is not permanently affixed. It’s connected to the click through screw terminals. This allows you to swap the existing sensor with different models. Interlink Electronic’s offer Force Sensitive Resistors in different packages. 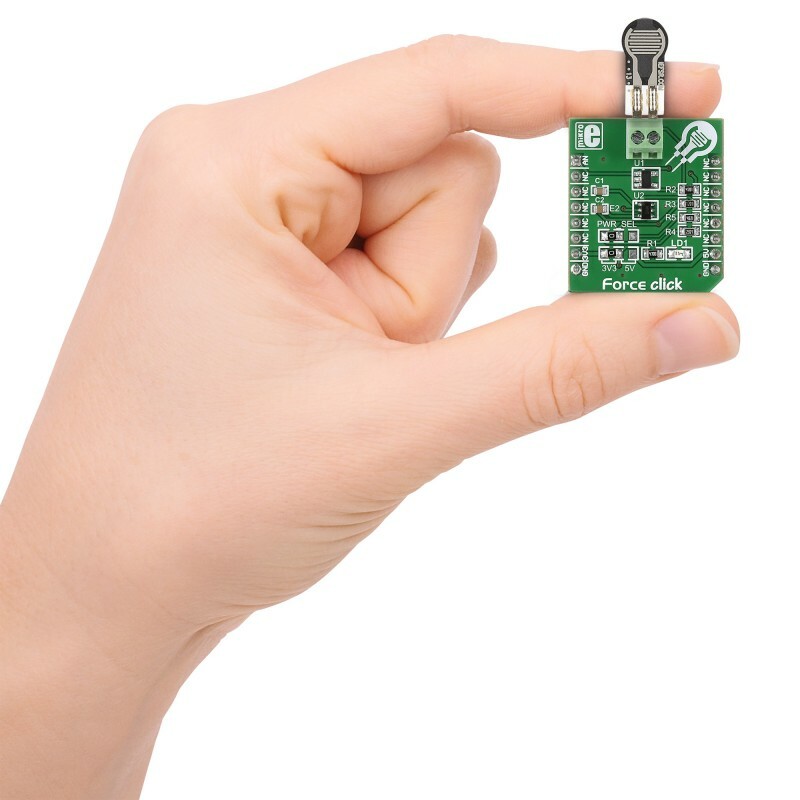 Interlink even offers to create custom sensors in different shapes, sizes, with graphic overlays and from different materials, depending on customer’s needs. The Force Resistive Sensor has a declared value range from ~0.2 to 20N but the achieved accuracy depends on the implementation. For best implementation results, adhere to the FSR integration guide document. Page 29 lists an assortement of do’s and dont’s. The following code snippet reads voltage on the analogue pin and displays the result on LCD.